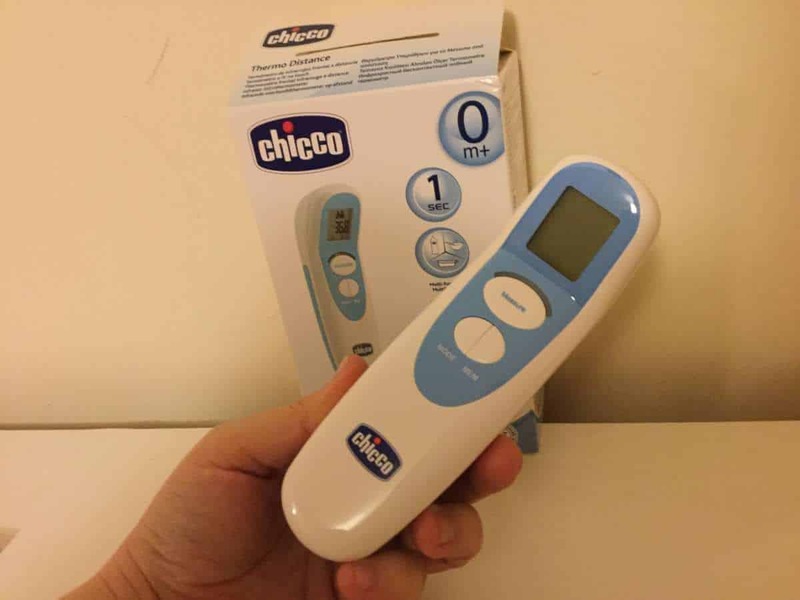 Today on the blog I am reviewing the Chicco Thermo Distance Forehead Thermometer from Kiddies Kingdom. As a previous early years teacher and a parent the idea of a new Infared Non contact thermometer is quite exciting. I once worked in the baby section of a Nursery and checking the little one’s temperatures when they appeared unwell was really important. As a childcare teacher, we had policies and rules to help keep the children healthy. This included sending a child home to parents when the temperature was over a certain amount. 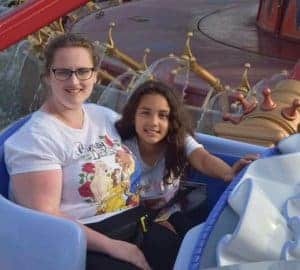 I recall trying to use a underarm thermometer for little ones who would be restless and wriggly and not want there temperature checking. That’s what makes the Thermo distance Thermometer appealing to me. The idea of an infared Non contact method to test your child’s temperature is an awesome idea. It’s fantastic for parents for keeping and eye on our kids when the need arises but also the perfect tool for any nursery or school. The Chicco Thermo Distance can be used from birth. It is the ideal way to check your baby’s temperature of an older child who may be asleep and not wanting to be disturbed. 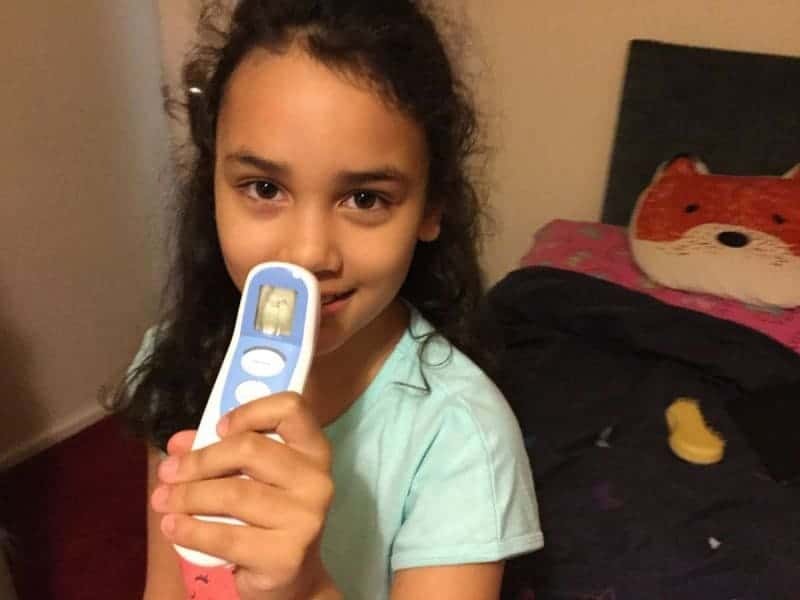 The thermometer is quick and accurate and has even has a backlit display so you won’t have to turn the light on when testing your child’s temperature at night. What I like is the fact this is a non contact product. 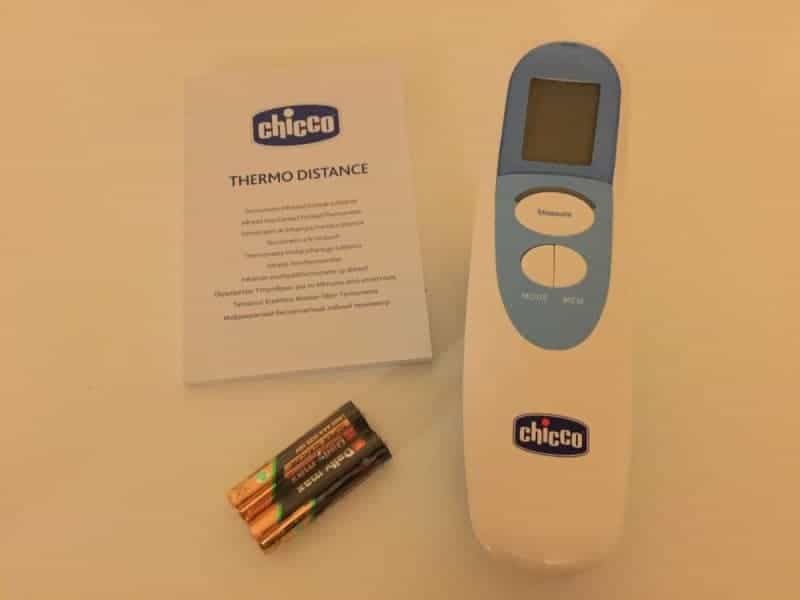 The Thermo Distance has 10 memories for recording temperatures is succession and a quick Fever check option which will be useful for anyone who uses it. 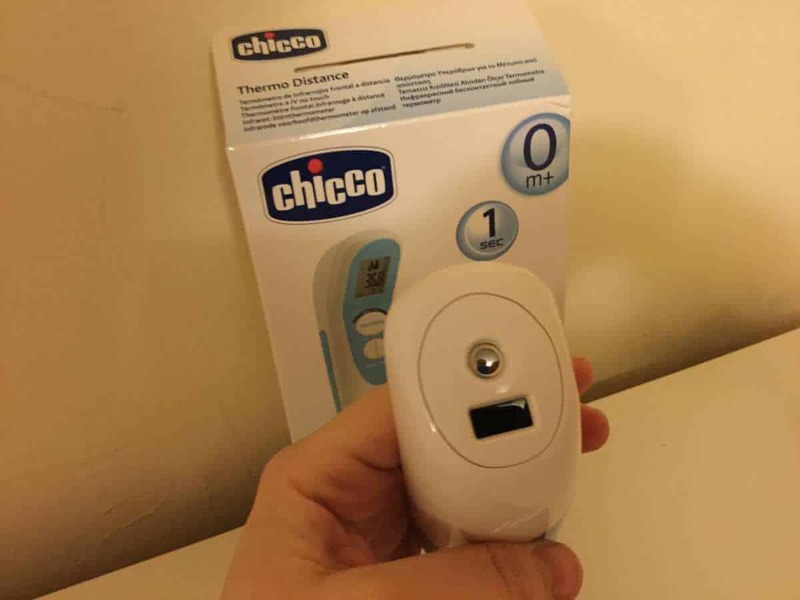 I’m really pleased I got to review this Thermometer and I love the whole concept and functionality it has. I think it’s great for making temperature testing less invasive and what is even more cool is the thermo distance is multifunctional. 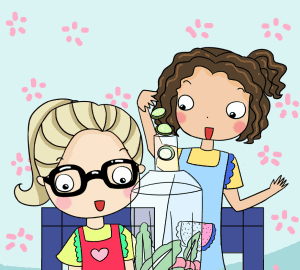 It can be used to test the temperature of a baby bottle, breakfast or a bath. Now I think that is pretty awesome. *I was sent this product for the purpose of review. All opinions are my own. This looks really good! 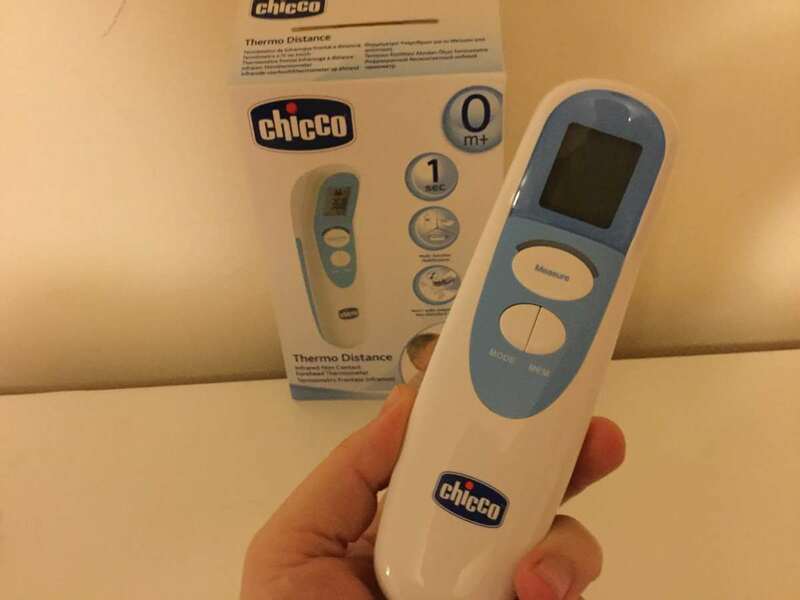 It’s no fun trying to get an accurate temperature from a poorly child and this looks like it would make it easier! I do like the idea of a distance thermometer as I think it would be much easier to use. We have an ear one and I always struggle with that. Yes I think that’s what I like the most about this.